Coffee Break in North America is developing partnerships with churches and ministries all over the world to share Bible Discovery tools and training. 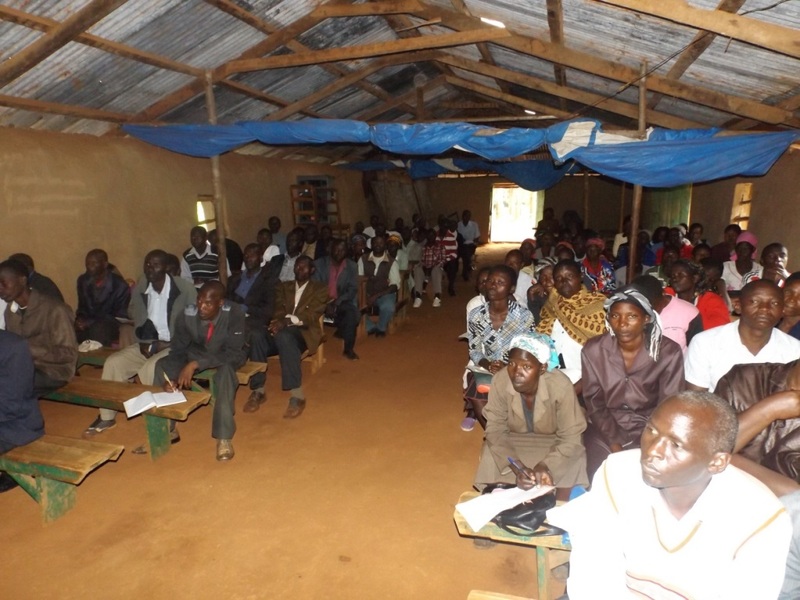 The East African Bible League, one of our Global Coffee Break partners, recently hosted a very successful Coffee Break training in Kisii, Kenya. They trained 180 church pastors and lay workers to lead Bible-centered small group conversations. People traveled an average of 70 miles in the rain to attend the one day training. Why does Coffee Break work across multiple cultures? The answer seems to be twofold: first, it is a relational gathering around the word of God which seems to meet a hunger in many cultures. Second, the style of Coffee Break carries relatively little cultural baggage. Coffee Break uses the Bible passage, simple questions from the text, and indigenous leaders who are equipped to help their group apply the text in their world. Today, Coffee Break is in more than 17 countries and more than 10 languages. Groups from Kenya to Canada are discussing the Bible using the skeleton of questions found in the Discover Your Bible materials and led by a local leader. Even though the strategy is simple, it is very different from the way most adults learn in Global Christian communities. Most often, people are learning through lectures from pastors and teachers. Coffee Break is a hands on approach that changes the posture of the learner from passive to active. People discover for themselves what the Bible says and what it means. How do people in your communities learn about the Bible today? What practices work best in your local setting? The attached picture is from the Coffee Break training in Kisii, Kenya, on April 30, 2015. In my setting, I'd say we need to be informal and conversational. Being curious about the Word together leads to remarkable discoveries and conversations about them. I'd also say that it's important to meet consistently and agree to being accountable to one another. Two Training Events for You!